What’s a slab other than chunk of lead? 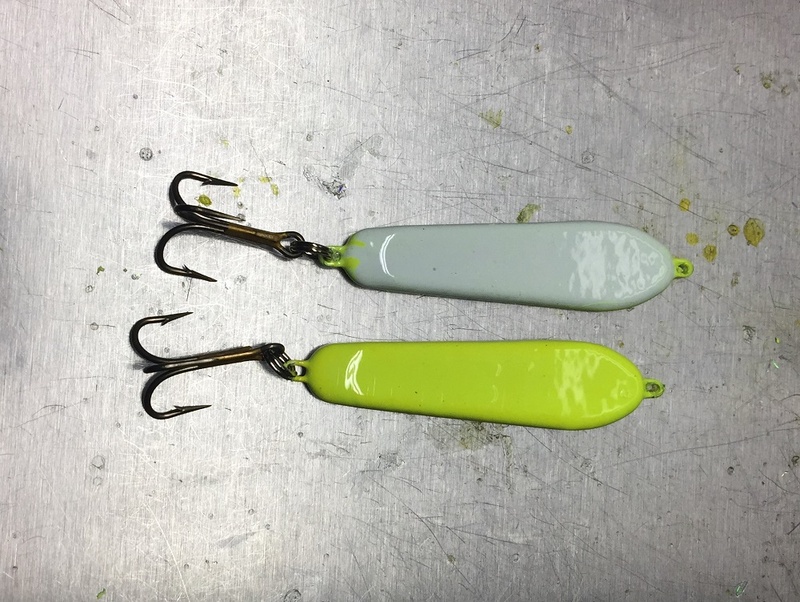 How’s a slab differ from a jigging spoon? 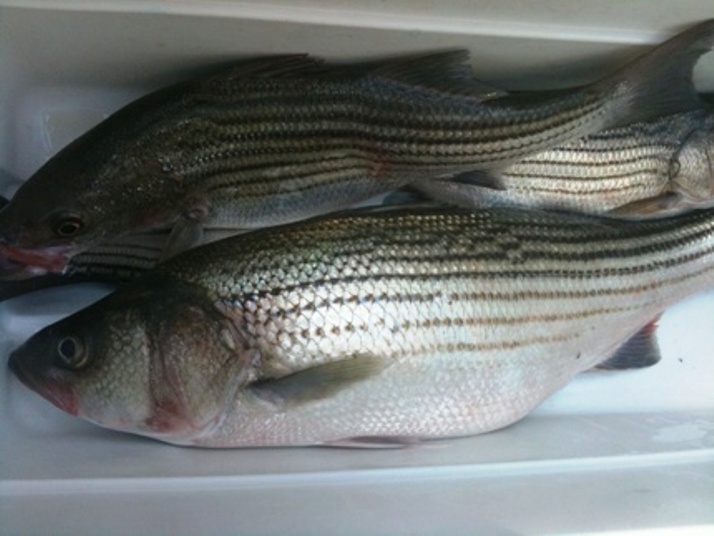 Well, the slab is probably the best artificial lure on Lake Texoma in the summer time. 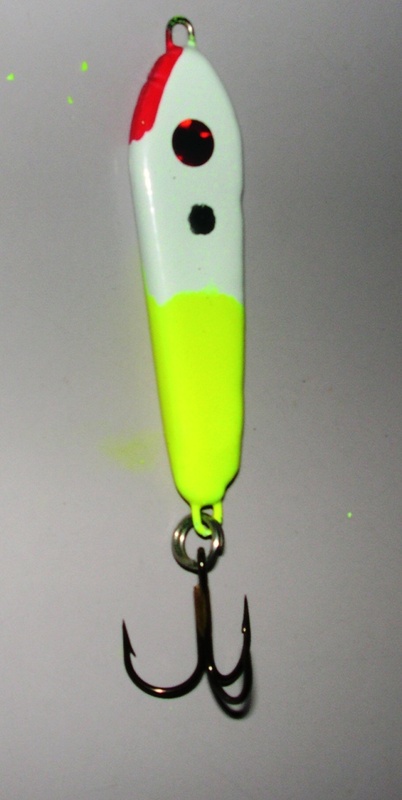 The slab, although similar to a jigging spoon, is heavier and is hydrodynamically “clean” compared to the jigging spoon. 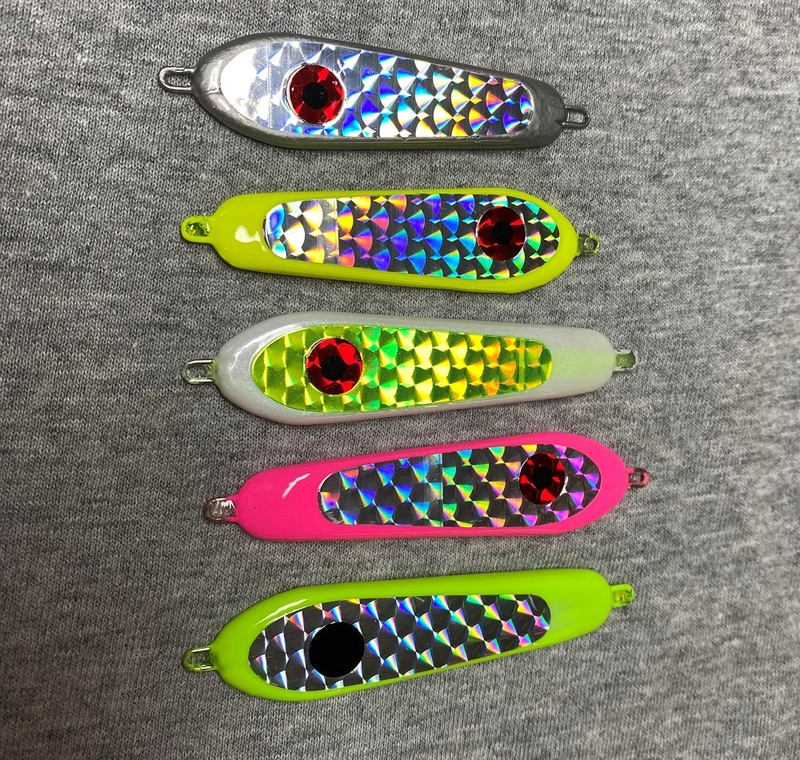 The slanted surfaces of the jigging spoon that help it “wobble” as it falls through the water column, prevents it from sinking at the fastest rate. The slab has very little drag and once you drop it in the water, it sinks……fast……. DUE TO POPULAR DEMAND, I AM NOW OFFERING A 1.0 OUNCE VERSION. IT'S THE HOTTEST WHITE BASS LURE AROUND. I’ve been fishing Lake Texoma for going on 20 years. My introduction to slabs came through Mr. Ron Ludwig, Chief Geezer of the Six Old Geezers. Ron is affectionately known to us as Prune Picker……and his famous ‘chunks of lead’ are called Prune Picker Slabs. Ron is Mr. Slab as far as I’m concerned. Ron passed a couple of years ago but he's still in our hearts and every time I pour a "Prune Picker", I think of Ron. Ron was generous enough to post on his web site, www.sixoldgeezers.com, how to produce slabs. So, every since I read the site, I’ve made my own slabs. I use the same mold, wire forms, and hooks as Ron did prior to his retirement. While his slabs were by far the best, ReAxtion Prunepicker Slabs are trying to reach that level! I have changed the color pattern. 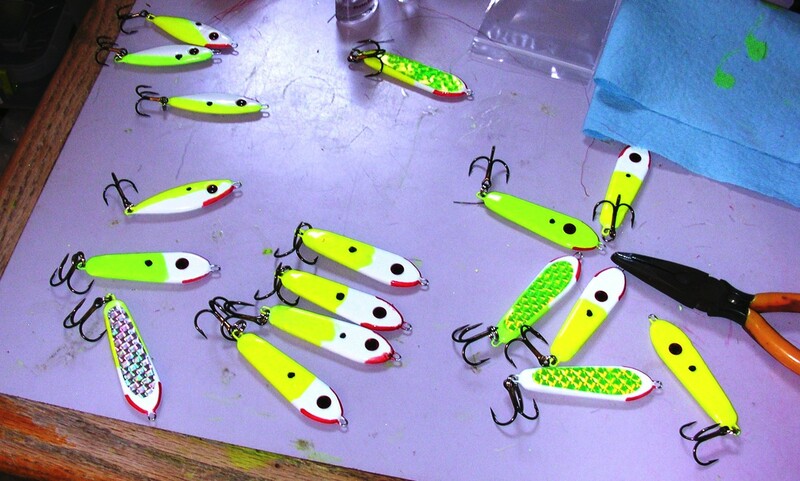 I found this past year that instead of painting one side one color and the other side another, I increased my catch by continuing to use the same color combinations but painting them half and half along the axis of the lure and adding a red lip. 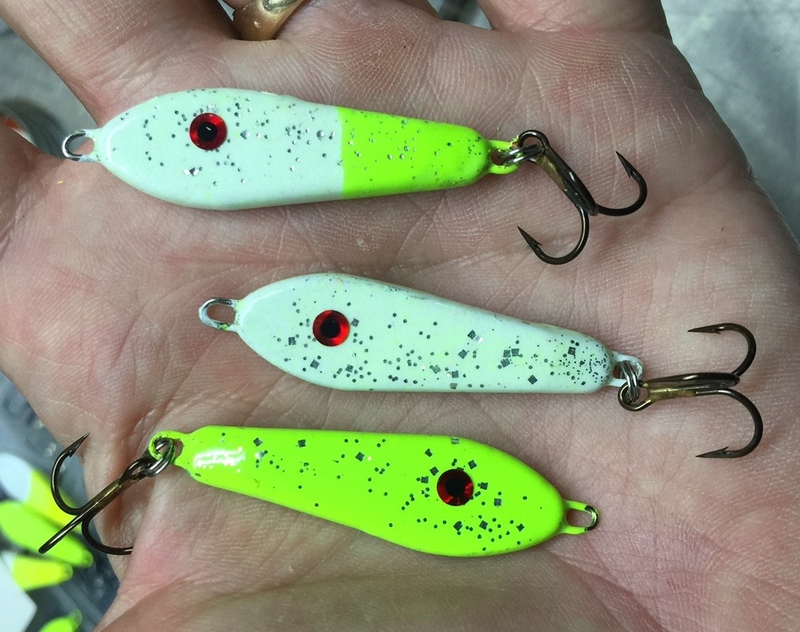 I know you'll be pleased with this change to the lure!! I am now offering Slab Combo Packs. 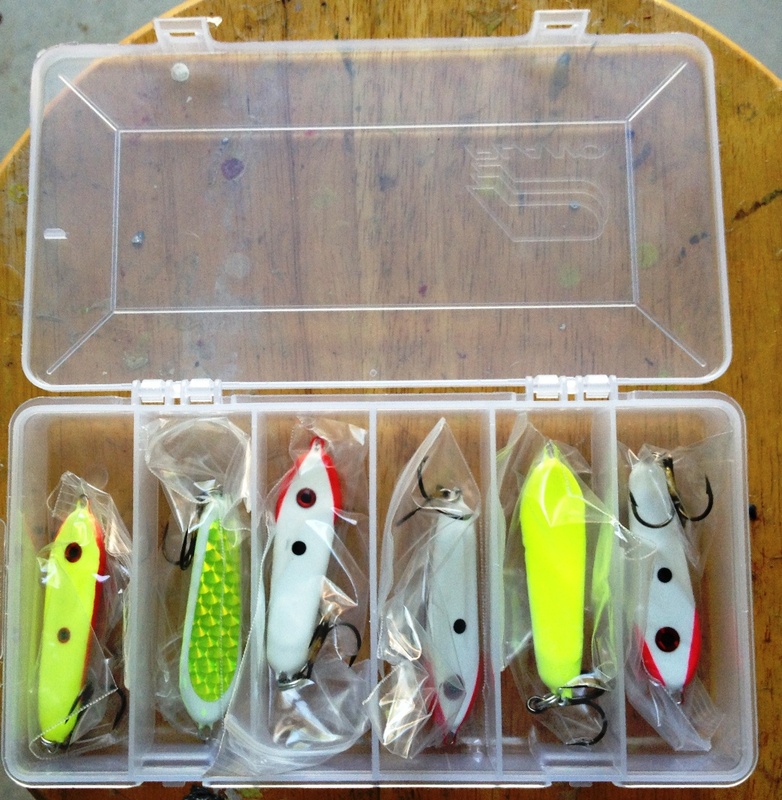 All combo packs consist of twelve (12) slabs in a utility storage box. The price can't be beat so order yours today. SHAD ARE SCARCE!! Try the Chrome Finish and fool 'em!! This is what ReAxtion Lures PP Slabs do! !